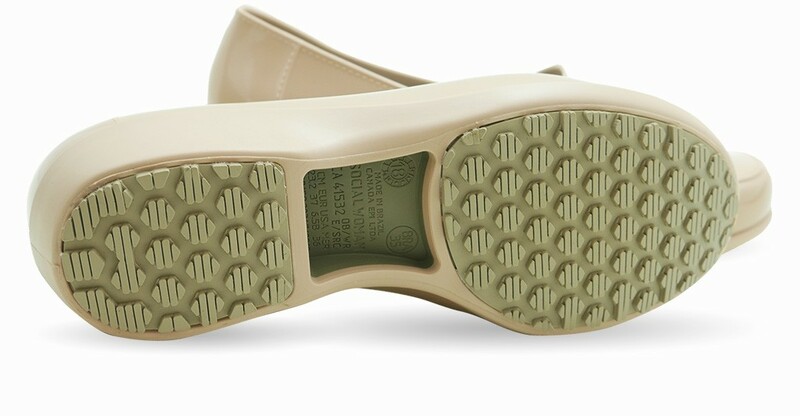 NON SLIP OUTSOLE - Will protect you from extremely slippery floors. WATERPROOF - The upper (made with Thermoplastic Elastomer) and outsole are waterproof and the footbed is made with an absorbent material to keep your feet dry all day long! PROFESSIONAL SHOES - Made with an anti torsion system and super comfortable, they are perfect for long shifts. PRACTICAL SHOES WITH CLASSIC STYLE - They have the grace of a classic shoe and are so easy to clean and dry. NICE SUPPORT - Platform measures approximately 1.00". They will offer the perfect support for your entire body. These professional shoes are perfect for professionals who are looking for comfort, protection and style. You have to worry about so many things everyday, so when it comes to your shoes it has to be the right choice. Since they are extremely comfortable and with a great support, they are perfect for long shifts. With a slip resistant outsole you can wear them in slippery floors with no worries. 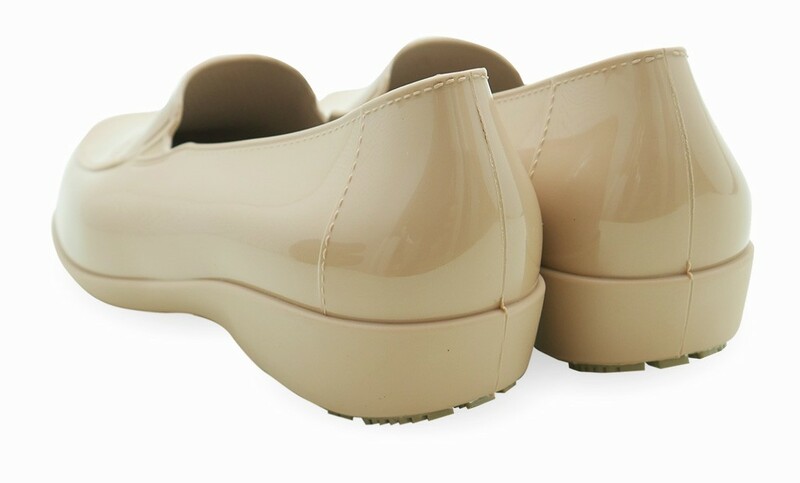 Good shoes for nurses (comfortable nursing shoes), chefs (non slip kitchen shoes), waitresses (waitress shoes) and professionals who has to stand for long ours.